Redemption Restaurant. Photos courtesy of NHYM 2016. 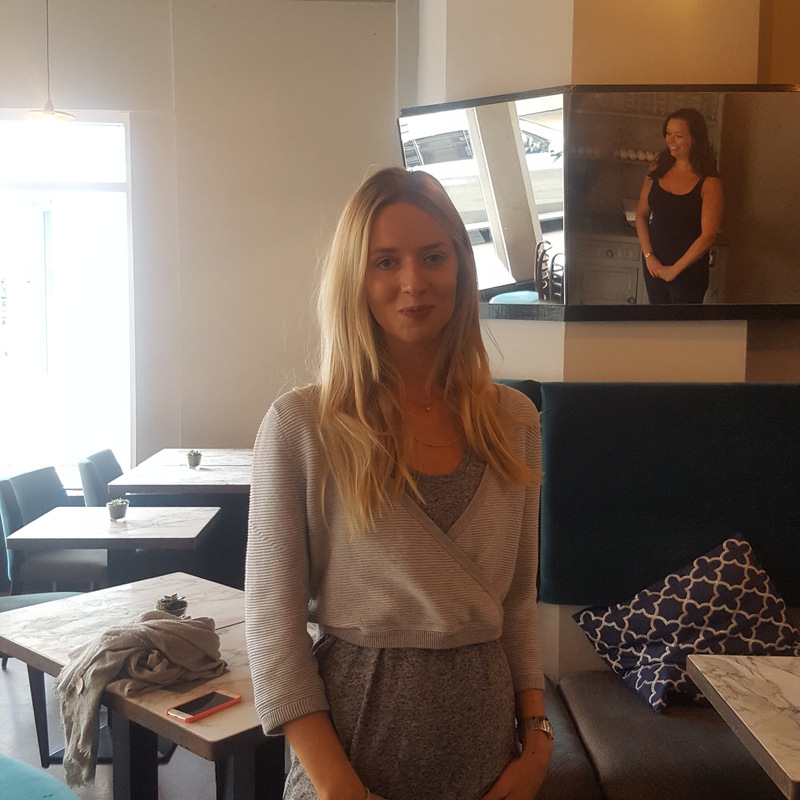 This week I was invited to a new event, Soul Food, by Sophie Purvis, a Yoga and Meditation instructor. 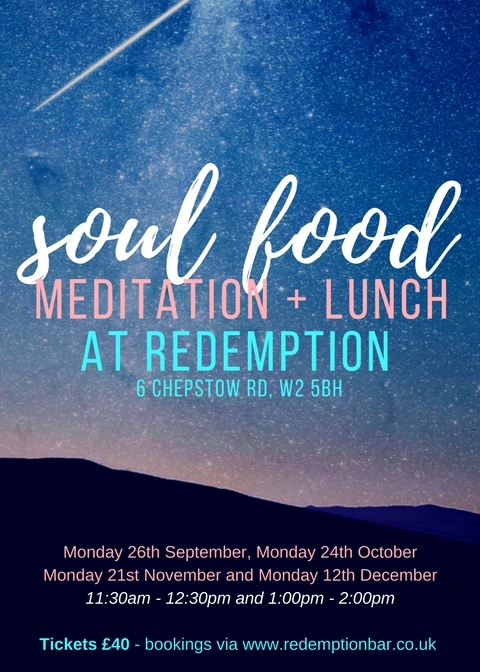 The event combines a 30 minute meditation followed by a lovely and healthy lunch at Redemption, ‘the healthiest bar restaurant in London,’ at their Notting Hill location. Now you all know how stressed I’ve been and the beginning of the new school year has piled on extra stress as quickly as I piled on extra pounds during the summer holidays. Meditation + healthy eating sounded like just what I needed to settle my mind. 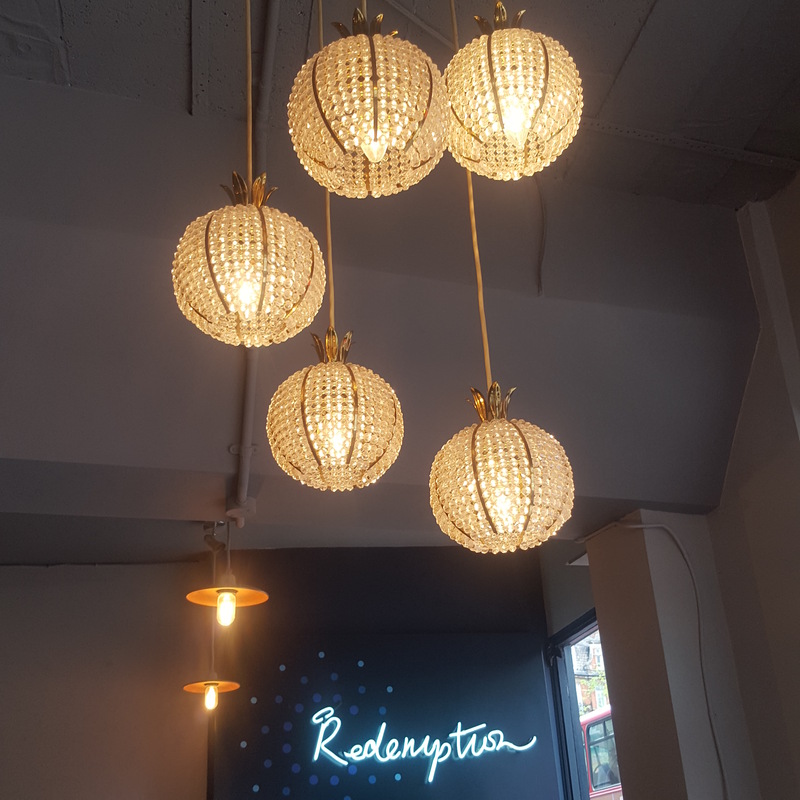 Redemption is located on Chepstow Road and I have been meaning to try it for ages, but somehow time has flown by and it has already been open for a year. I am amazed at all the ‘healthy,’ ‘organic’ and ‘vegan’ places that are sprouting up faster than mushrooms on a wet day. First there was Planet Organic, then came Daylesford and now the restaurants have followed suit: NAMA, Redemption, Farmacy, and the latest JUSU brothers. I mean, Notting Hill is fast becoming San Francisco. Next thing we know, everyone will be swapping their cappuccinos for juice cleanses (Noooo!!!). Sophie Purvis in the foreground, Catherine Salway in the mirror reflection. NHYM 2016. Back to the event. I went along on Monday not knowing exactly what to expect. When I got there, Sophie Purvis introduced herself and immediately I thought I was in good hands. Sophie has the most soothing, calming voice and aura that immediately put me in the right mind set. She usually works out of a studio in Parsons Green but found this great collaboration with Redemption here in Notting Hill. Redemption food and detox tea. NHYM 2016. After the meditation, we were treated to a lovely lunch and detox tea. 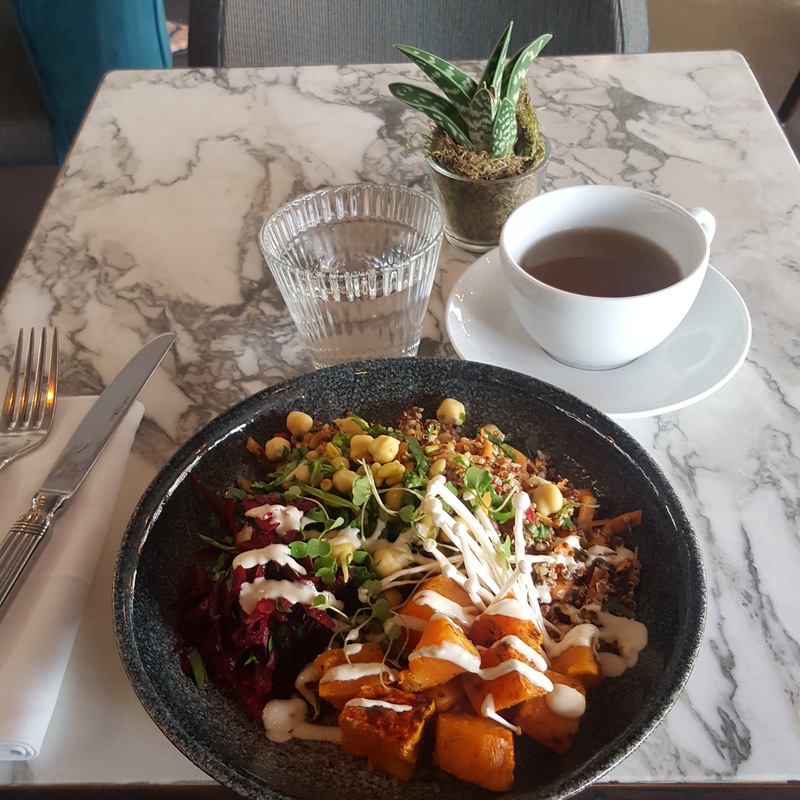 Everything I would expect from a vegan restaurant: sweet potato, quinoa and pomegranate salad, raw chickpeas, carrot salad and a few enoki. The food was very good, tasty and filling. Catherine sells her place as a place away from ‘temptation’, wheat-free, sugar-free and alcohol-free. Stella McCartney is apparently her biggest customer and orders staff lunches from here. 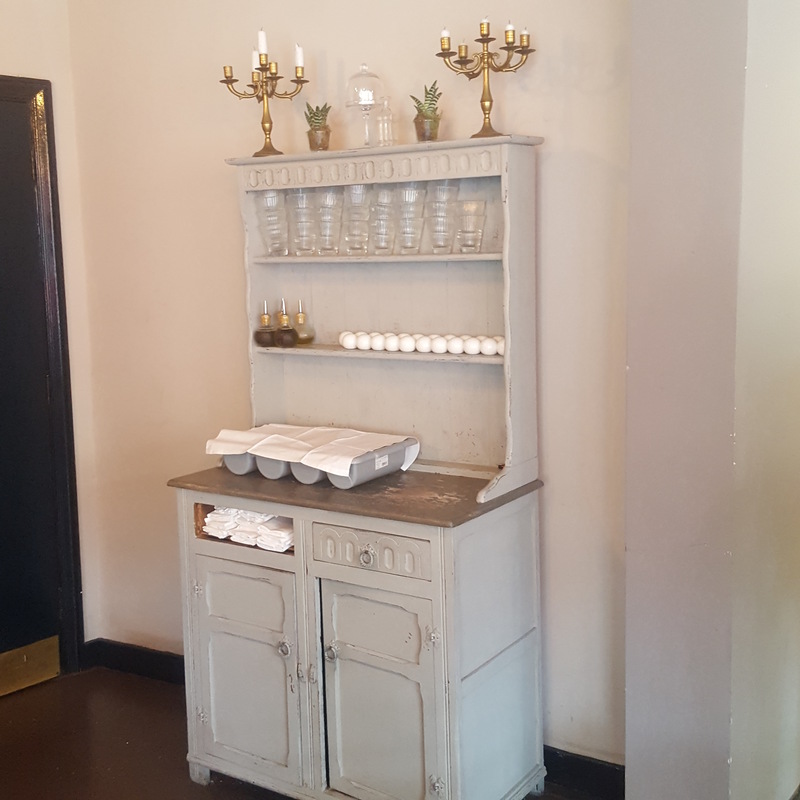 The restaurant itself is sparsely decorated and has lovely touches like the pineapple lamps, the antique French farmhouse furniture and plush velvet banquettes, but I feel that the decor could use some cohesiveness. I had a really lovely time at Redemption – thank you Sophie and Catherine! The meditation was lovely and the food equally so. I felt lighter and healthier coming out of it, as if I had gone on a mini-holiday. For anyone looking for a little peace and soul-feeding in the city, this is one to try out.